1.The MicroSD Card is NOT included in the package. Zero Risk Of Private Information Leakage: The IP camera has its own unique ID only you can access. The images and videos won't be saved at any servers or be forwarded by manufacturer. 360 Degree 24/7 Smart Home Surveillance: Support 3D Navigation and watch your home as a loyal 24/7 safe-guard from anywhere at anytime and at any angle for dead-zone-free 360 degree panorama view. Notify you with photos and/or videos via your mobile phone. Support Micro SD card storage up to 128GB (not included) for month long recording. Advanced Interaction: Feature a wide-angle lens and built-in microphone & speaker for a two-way audio communication; Use as baby monitor to connect yourself with your little ones; Use as wifi camera to get in touch regularly with the elders to ensure they get care; Use as pet video camera to catch the best moments of your pets and share with others. 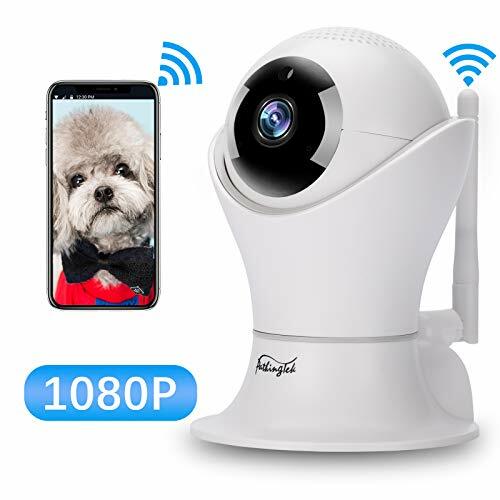 Others: The live stream can be shared with more than one family members; Support more than 36 in one phone for ultimate home surveillance; Horizontal panorama view. If you have any problems, please feel free to contact us (ymxytek@163.com), our customer service team will provide professional after-sale service to you. Motion alert: When built-in motion detector is triggered, WIFI cameras will send an alert instantly to your smart phone and record a short clip of the event. Zero Risk Of Private Information Leakage: The IP camera has its own unique ID, so only the owner can have the access. None of the images and videos will be saved at any servers or be forwarded to manufacturer. And the connect APP is called: IPC 360. If you have any questions about this product by Pathinglek, contact us by completing and submitting the form below. If you are looking for a specif part number, please include it with your message.